Vigilucci’s Trattoria in Leucadia was the host of an exclusive dinner on Monday night. 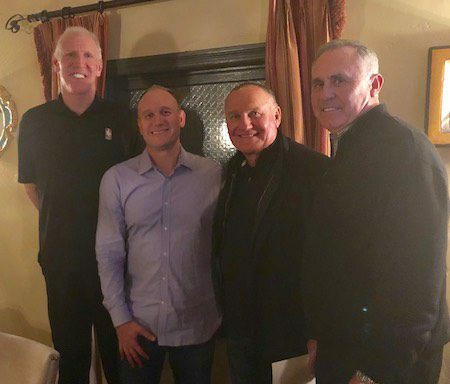 Back in September, a dinner for ten with Bill Walton was auctioned off at the Boys & Girls Clubs of Carlsbad’s annual Gala. It sold for $10,000 – and was so popular that a second dinner was added and sold immediately.